Alexa via smartphone control: This is soon synonymous with the Motorola Moto Z. Within the framework of the Mobile World Congress, both companies confirmed that one is working on a corresponding solution. This is based on a mod; So you do not have to buy a new smartphone for the integration of the new language assistant. Alexa is scheduled to return to Moto Z later this year, but Amazon and Motorola have not yet named a specific date. But not only with Alexa, the Moto Z will take off in the future. Details on the sketches of a patent leave no doubts: Apparently the Z receives an iris scanner. The functionality is the same as with the fingerprint scanner, only Motorola wants to achieve a higher level of security through this technique. Because the characteristics of an iris are much more detailed than a fingerprint - the barrier for an abusive authentication is thereby again increased. In addition, the patent also shows two lenses which can independently focus the iris of the user. This is why Motorola promises a higher functionality and security during the scanning process of the iris. Iris-Scan already in the new Moto Z? It is only possible to speculate as to whether Motorola is installing the Iris Scan for the first time in its new top model. 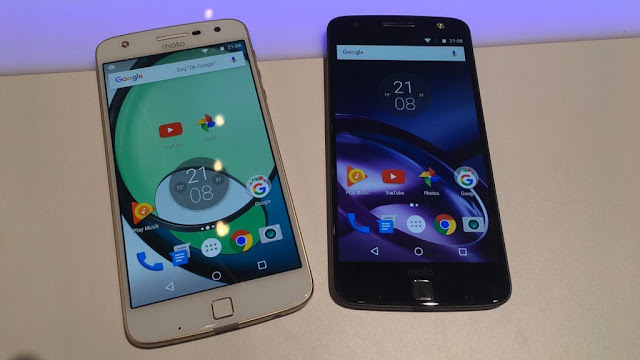 Only one thing seems certain: According to the patent application, the Moto Z (2017) does not dispense with the tried-and-tested front fingerprint sensor - in addition to the iris scanning technology, it provides additional security. Although nothing is yet on the design of the Moto Z (2017) known, some specifications of the new flagship are already on the benchmark site Geekbench leaked: the device runs on the latest version of Android (Android 7.1.1. ), The heart Is a Qualcomm 8 core chip, clocked at 1.9 gigahertz. Four gigabytes of RAM are available for data backup.